Little Medha Growing Up: Book Review : Brown Bear Brown Bear What do you see? 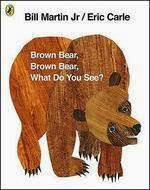 Book Review : Brown Bear Brown Bear What do you see? This week we focused more on Colors and confidence activity for already known colors. So I picked 'Brown Bear Brown Bear What do you See?' - a picture book by Bill Martin Jr. Pictures by Eric Carle. Title : Brown Bear Brown Bear What do you See? There is no story. Yes, it's not a story book. Instead, the narrator asks various animals what they see with the response usually being another animal, the respondent is then asked what they themselves see, and the process is repeated. It's a picture book full of rhyme and repetition that will appeal to toddlers/preschoolers. Each page has an animal with a specific color with beautiful illustrations. The book proceeds like a rhyme and describes what does each animal see. The book starts with a bear, bird, Duck, Horse, Frog, Cat, Dog, Sheep, a Goldfish, a teacher/monkey and children/students. What young children will like? Kids loves animals and sounds and this book has lots of animals. They would also eventually understand colors. Rhyming words " What do you see?" and "I can see **** looking at me"
Medha takes her time to get hooked to a book, but in the case of Brown Bear Brown Bear What do you See?, she loved it the moment she laid eyes on the book. It has everything Medha loves... Animals, colors, pictures, rhymes. She recognizes all animals except GOLDFISH. I haven't talked about it till now to her. She knows only FISH she asked why is it GOLDFISH when it's in orange color. I saw the book as a video on YouTube and in the video Author Bill Martin sings the rhyme. I liked that and that's what I do with Medha. I add the sounds of various animals and she giggles along. For sure it's Medha's Favorite. 5/5. And I highly recommend reading this book to toddlers. You can even start reading this book to 8 months kids too. 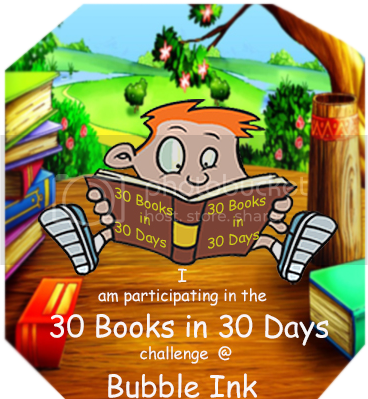 Invest in Board books for younger kids so the book can be treasured for long time without any worries.